If anyone looks at the album cover of Bachman’s new album, and wonders what “Heavy Blues” is, all they have to do is press “Play” to find out. After a reunion with his old Bachman-Turner Overdrive colleague Fred Turner (as Bachman-Turner, minus the overdrive), the front man (who also played with The Guess Who) has dropped down to just Bachman for his new band, a power trio inspired by acts like The Who, Cream, Jimi Hendrix or Led Zeppelin. The opening track “The Edge” sounds a lot like The Who, and drummer Dale Anne Brendon channels the maniac spirit of the late Keith Moon, but with Randy Bachman’s unmistakable voice on top. Bachman recorded the album very quickly in about 5 days, and there’s a raw quality that comes out of that process. The album has that slightly overdriven sound that’s often heard on albums produced by Kevin Shirley which is not necessarily a good thing in my opinion, but the performance certainly shines through that. These songs were played by musicians going full speed ahead and feeding off of each other; not carefully constructed layer by layer in the studio. Some high profile performers drop in for guest spots, including blues guitarist Joe Bonamassa, Neil Young, Peter Frampton, Luke Doucet and even the late Jeff Healey, via a live recording that Bachman had done with him a few years before he passed away but never released. He simply wrote a new song (“Confessin’ to the Devil”) in the same key and tempo as the BB King cover “Early in the Morning” it came from. You’d never know. Bachman’s guitar tone is rich and fat (these are good things in a guitar tone, as opposed to, let’s say, a politician) and he wails some nice guitar solos throughout the album. His voice still has that little mischievous kid tone that got us singing along to “Taking Care of Business” or “You Ain’t Seen Nothin’ Yet” all those years ago. His band (Dale Anne Brendon on drums and Anna Ruddick on bass) lays down that heavy blues groove that serves as foundation for Bachman, and brings a ton of energy to the songs. It’s nothing new musically, but it’s a lot of fun, mainly because Bachman and his band are having fun too. 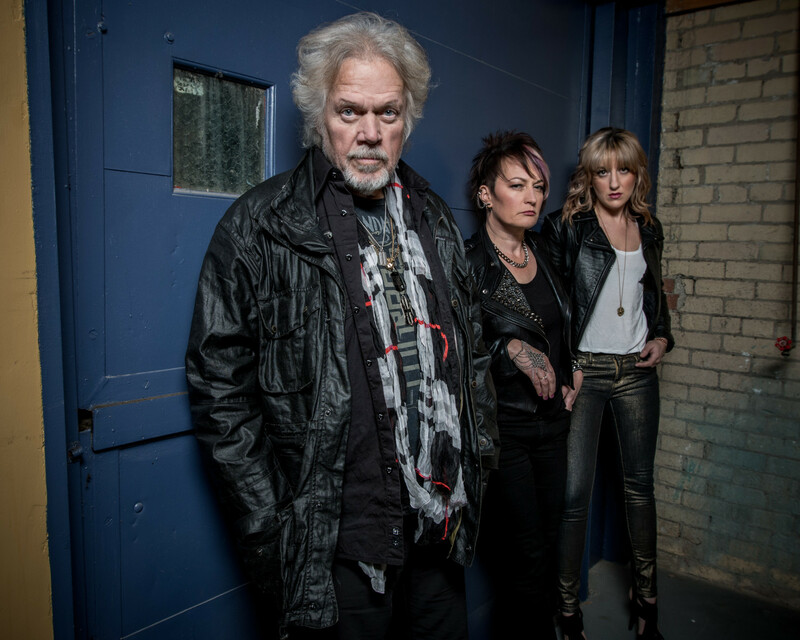 After all these years, Randy Bachman is still takin’ care of business. (Sorry, had to say it).